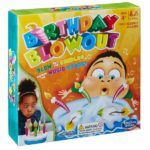 Blow out the tricky candles as fast as you can! Take turns trying to blow out all five candles before the music stops! If you blow them all out successfully, you’ll move on to the next level! 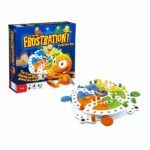 This Frustration Game is the Slam-Tastic chasing game that drives you mad. If you’re lucky, you can gain the powers of the Genie to protect your characters from being sent home. Nom! Nom! Nom! 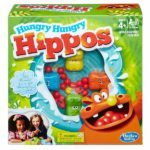 It’s Hungry Hungry Hippo time! Whichever happy hippo eats the most marbles wins the game! It’s the Guess Who? 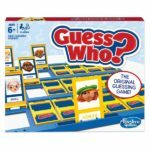 game – the original guessing game! This Guess Who? game goes back to the tabletop style boards, styled after the original, rather than handheld boards. 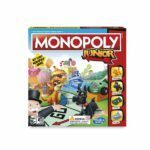 It’s the case of the missing cake in this classic “whodunit” game for kids. 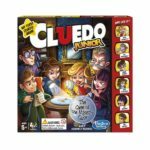 In this Cluedo Junior game, players are on a mission to discover who took a piece of cake, when they took it, and what they drank with it.